Tracey has been a Fitness Instructor for the past 10 yrs. I am ZUMBA Fitness 1 and 2 CERT. 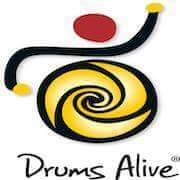 Drums Alive Powerbeats and Ability beats Certs.....POUND FIT as well as an IFA personal trainer........Tracey loves to work with all fitness levels.....from athletes to the special needs population.....Movement for everyone!